Butterscotch Shenanigans Forums • View topic - Woo new highscore! 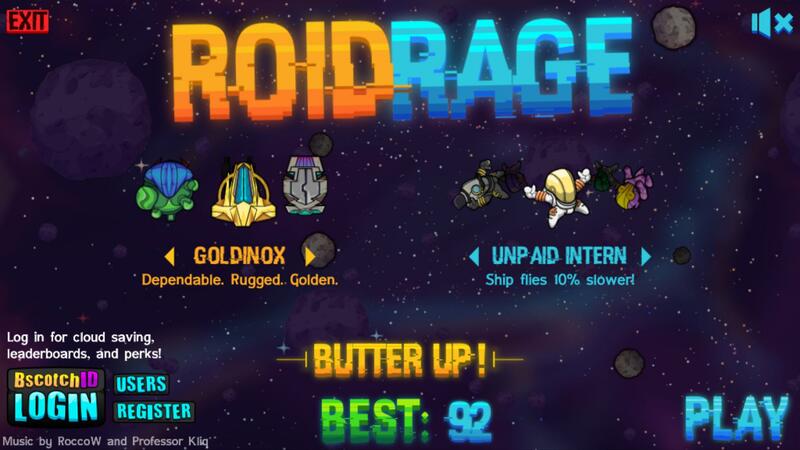 Board index ‹ Butterscotch Games ‹ Roid Rage ‹ Woo new highscore! Is it just me or are there a lot more astroids a lot faster when you play like this? The unpaid intern avatar makes the ship 10% slower. It is not the asteriods that are fast. @Aeternus What I wanted to say is, that it seems like the number of astroids on screen seems to grow a lot more rapidly. Maybe it's just that the laser gives you some breathing space in between?